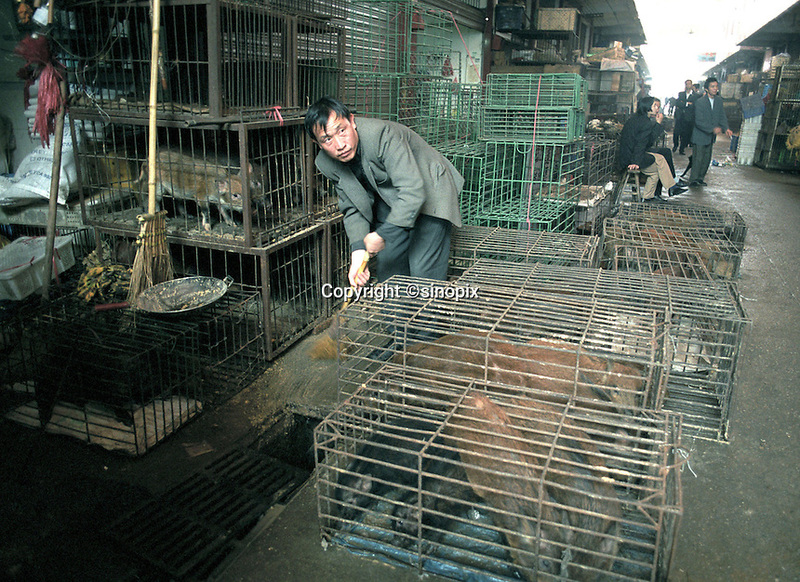 A worker cleans excrement from cages at Guangzhou's largest animal market. Cages animals are still being sold at the market despite reports the government had ordered its closure. Green cages at rear were emptied of civet cats by government authorities the previous day. SARS is easily transmitted in animal faeces.